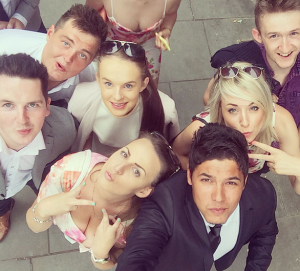 I have been to Ripon races a few times but I had never been to York races, and it was something I have always had on my todo list and on Saturday 11th July it was the 56th John Smith's Cup race day and it also happened to fall on my friends 21st Birthday. The birthday boy had planned to go to York races with his other half and his best pal, what he didn't know is that there was 13 other people waiting to surprise him in York Taps! It was probably the best surprise birthday party we have ever managed to do, usually someone slips up or posts something on social media which gives the game away! But this went perfectly, he had no idea and the look on his face when we all shouted surprise was priceless! 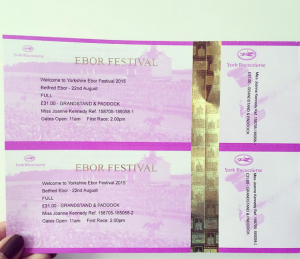 We decided just get the cheaper tickets for York races as it is a bit more pricey than Ripon so we just went for Grandstand & Paddock tickets which only cost around £25. Once we made the hike to the race course, and it is a hike... in heels anyway! we headed straight for the bar, bags were checked so there was no sneaking any drinks in! 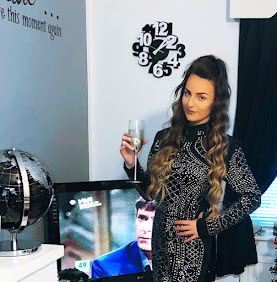 The que's at the bar were terrible, and once we got to the bar there wasn't much selection, I think it was a pint of Fosters for £4, a can of flavoured Strongbow £4 or a bottle of prosecco for £28. There was a Pimm's bar but we didn't realise it was a sold at a separate stall until we had queued for around 20 minutes. That was it once we were on the prosecco we couldnt stop! 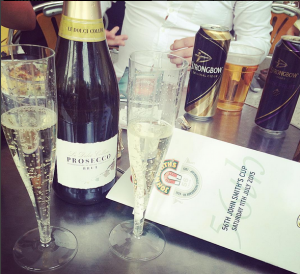 We went alongside the racecourse to put our bets on and watch the race and it was just manic, very overcrowded, I was scared I would get my feet squished at any second! from that moment on I thought oh no were not going to like it here, we were stood holding our drinks in the crowd and couldn't really see a thing for all the people, we were definitely not at Ripon. A few of us decided to take a wander back around to the bars and stalls, and found a glass building with a food court, plenty of race screens and betting booths. We decided to grab some lunch and sit and chill here for a while, and soon enough the rest of the group appeared with the same idea. There was a live Irish band playing right outside so we had good music, people were up dancing, we were opposite the toilets, we basically spent the whole day here cracking out the selfie stick! 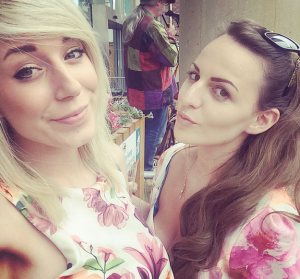 We headed for a few drinks in York after the races finished (we finally experienced the revolving dancefloor in popworld) and got a late train back to Harrogate, the walk back to the train station was hilarious, we had all had a few too many and it took us forever to find the platform! If you will be doing this walk I would advise you to carry flats with you, or go in comfy heels, I ended up with blisters and bleeding feet everywhere by the time I made it back to Harrogate! 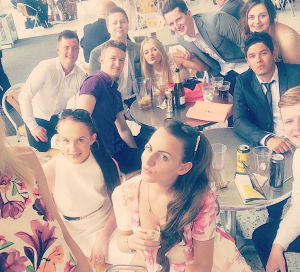 But it was such a good day out that I am doing it all over again tomorrow at the ebor festival for another friend's 22nd Birthday, although this time it isn't a surprise! I still have no idea what i'm going to wear, that will be a task in itself! 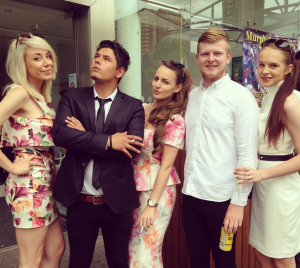 Look out for my York Races ebor post coming soon!